Dollops of Diane: Stop and Shop's World Menu: Gift Card Giveaway! Looking for an easy dinner tonight? 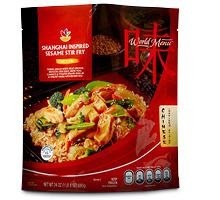 Stop & Shop is offering its customers a new take on take out with the launch of its brand new World Menu product line. These internationally, inspired items feature quality ingredients and bold flavors, including many Italian and Asian favorites. Found throughout the store with a large variety in the frozen department, World Menu products bring the tastes from around the world to your kitchen for quick and easy meals in just minutes. What's not to love about that? Meals include ricotta and spinach tortellini paired with broccoli rabe & smoked provolone - yum! 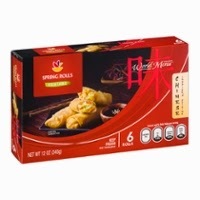 Asian varieties include chicken pot stickers with sweet & sour chicken and shanghai-inspired sesame stir fry. Enter to win a $25 gift card below to Stop and Shop so that you and your family can try out some of the new items for yourselves! *Disclaimer: I received a Stop and Shop gift card so that my family can try out the new World Menu. I'm hoping to run into the Maven of Savin at the checkout like I did last week and have her save me lots of moola on my order.